The last time I ran Boston, 2015. It was cold, rainy, and wonderful. Maybe it’s too early to be nervous about running the Boston marathon. I still have two weeks to brood, plot and plan until the gun goes off. Or, maybe it is silly that I am nervous at all, because this race will be my 48th marathon. I know, that’s a ridiculous number, but I love running marathons. I love them, respect them, and can’t wait to run them every single time I sign up, wake up, and lace up to run them. I do enjoy other types of races, I think half marathons are slick and fun, and ultra-marathons are non-stop gritty adventures, but marathons are the Baby Bear, “just right” porridge temperature sweet spot this Goldielocks slurps up every chance she can get. Over roads, across trails, or on top of quick moving mechanically controlled rubber belts, I will never turn down a date with the marathon. The distance is short enough to run fast, but long enough to have to run smart. For example, I don’t think any marathoner has ever felt good at mile twenty-three. Running twenty-three miles in one day is a long way to run; running that distance at threshold pace, knowing there is still a solid twenty to thirty minutes left to feel the current incessant torture coursing through your muscles, veins, and every cell in your body is hard, but gruesomely perfect. I think the world would be a better place if we all let ourselves feel all of the feels met at mile twenty-three of a marathon. I appreciate the ugly truth waiting for me at mile twenty-three. It is usually there waving like a good-natured, but tragically over-served co-worker at an office Christmas party frantically cheering how far I’ve come, but then keeling over on its wobbly, liquid-courage infused knees when the reality sinks in that they lost their phone and pride somewhere on the dance floor. Mile twenty-three is far enough into the race to appreciate how far I’ve come, but far enough away from the finish line to slip into insanity. There are still three miles to go until the bleeding stops. A fun face from the last stand-alone marathon I ran, LA, 2017. Actually, a little over three miles. Let’s not forget the 385 yards that we can thank the English Royal family for adopting during the 1908 Olympic Games. The Royal family wanted the race to end in front of their box in the Olympic stadium, so the race director shifted the course in order to appease them, and the distance stuck. I am nervous about the Boston marathon. Hang on, I may start crying thinking about it. I’d guess that’s a clear sign of jumpy nerves? I am nervous because I care about the race itself, and for the other runners who are running it for the first time, or forty-seventh; it is a monumental achievement for all of us who line up in Hopkinton on Patriot’s Day. 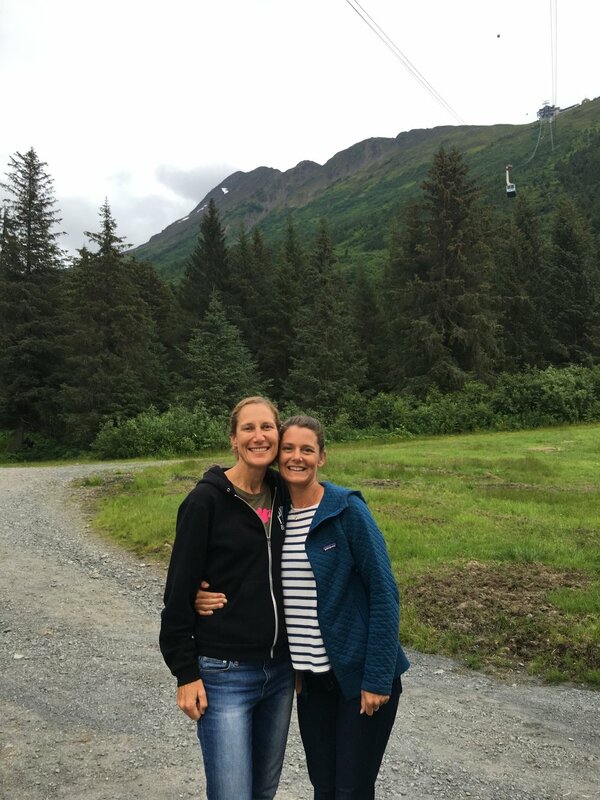 I am nervous because I revere the marathon distance, and because I know I am going to push myself beyond any marker I have set before, and it is going to hurt. A LOT. I am nervous because my sister will be there running too, and I need to keep my act together as her confidante and coach. 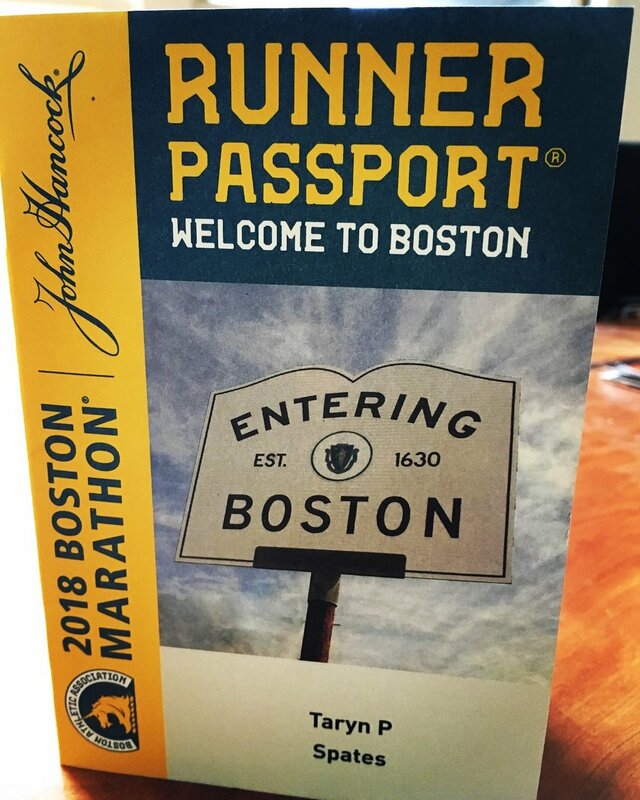 Plus, my parents will be there cheering us on at the corner of Commonwealth Ave. and Boylston St., and I will be in tears if I am under or over the time I need to hit on that last turn toward the finish line. Actually, I will be in tears just seeing them standing there. Thank you for making the trip, Dad and Sally. My dad and step-mom Sally, after Ironman Arizona, 2017. Then again, maybe it isn’t nerves? Maybe I am just beyond excited to have another chance to do my favorite thing on any day of the week, run 26.2 miles as fast as I can. In the meantime, I have a lot to distract me the next couple of weeks to keep my mind off of the race, (some Hollywood type goodness that I will share next week and tales from spectating the Ironman Oceanside 70.3 race this Saturday rooting on my team SFQ teammates, and a wide array of amazing pros kicking off their season). Nevertheless, my excitement about the marathon will be heating up everything I try to pile on top of it.